You know that Creative Collections group that I started on Flickr recently, well I can't stop peeking in to see what photos have been added - I'm a girl obsessed with collections right now and creative styling in general is forever a passion. It's fun to see how others put together things that they love. Their creativity is evident as I browse the many photos in the group. If you're a collector or would simply like to sit back and observe how others arrange things, you may want to join in. And who knows, all of this inspiration just may lead you on your very own relentless pursuit of pulling together the perfect arrangement to fit your personality. Top: elsiemarley has four shelves above her sink where she creates little vignettes like this grouping of natural things called "brown". The next photo shows a few tiny houses that she likes. 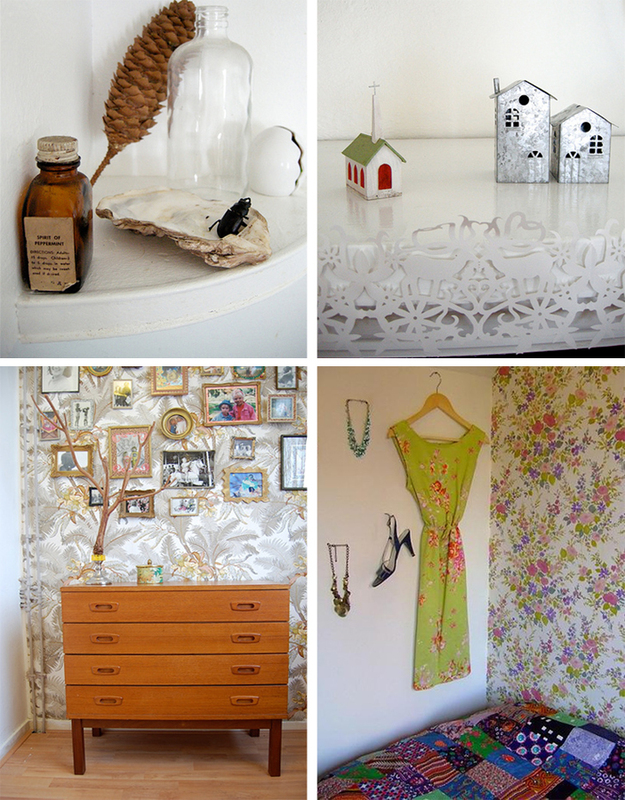 Bottom: retro dresser with a great photo collection proudly display above in the home of ATLITW, vintage clothing displayed on the wall from ninainvorm. 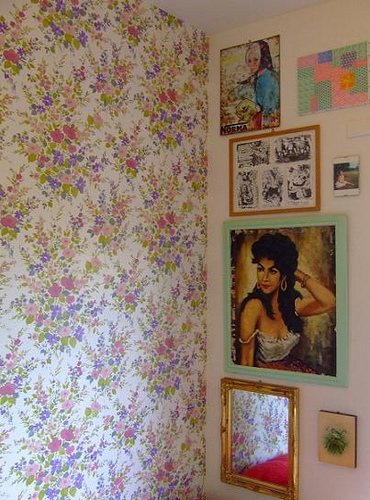 This grouping over the bed belonging to arthur's circus is simply the best for two reasons. 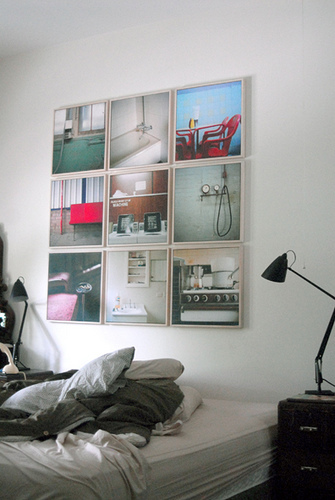 The composition and colors are great but beyond that, they are photos that she took herself. Love that personal touch! You can view her professional portfolio here, she's an amazing photographer. 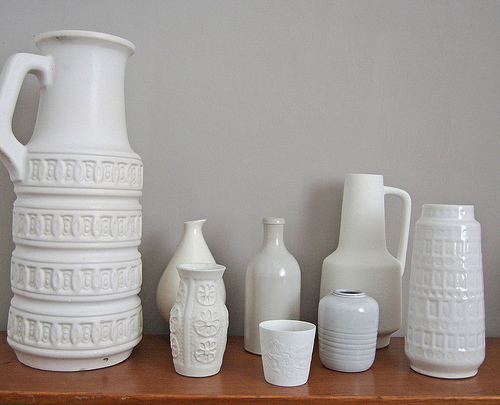 ATLITW's white pottery collection, of which I love. Starting a small art wall by ninainvorm. 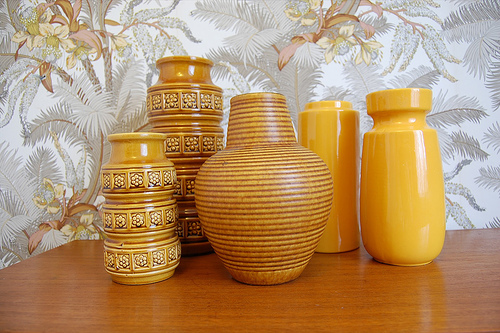 And this is ATLITW's yellow collection. 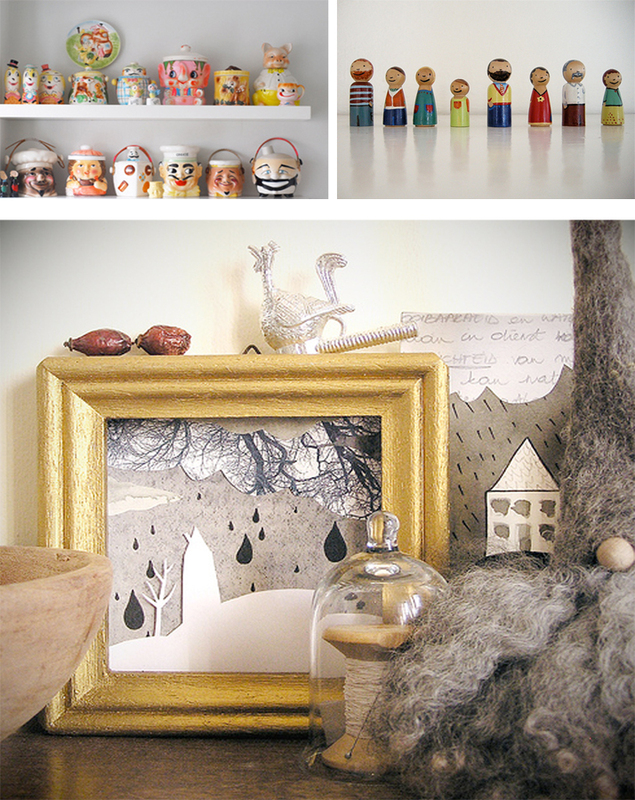 Cookie jar collection from arthur's circus, cute little people as shown in the home of elsiemarley (they were handmade by her friend, she blogged about it here), winter scene arranged by paper-flower-girl. 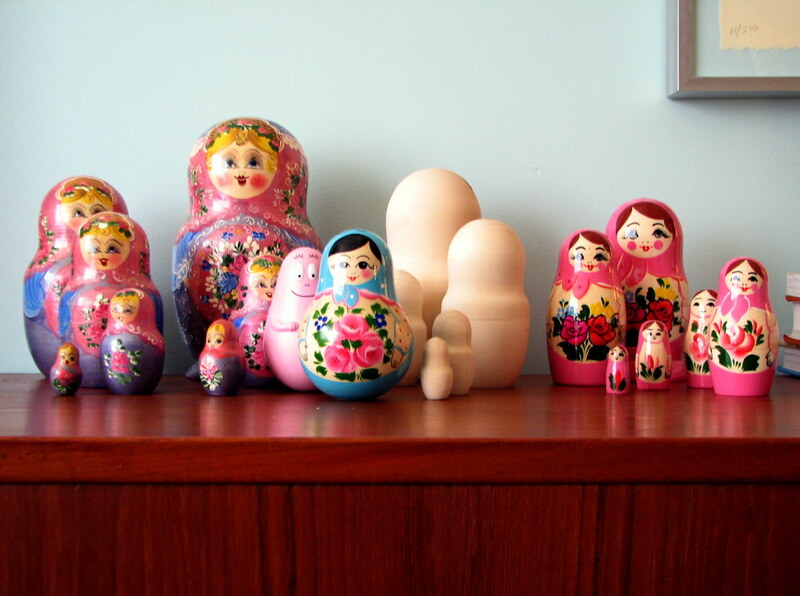 Some of my nesting dolls, the ones to the far left I found in Paris in 1997 in a Russian gift shop. If you're wondering about the unfinished dolls they're for an upcoming project I plan to work on in February. I've always wanted to design a set of nesting dolls so I'm thinking of a few ideas for these ladies.If you look closely not all are nesting dolls, there's a little guy hiding amongst them. He like a lady with a little meat, so these girls had him at hello. Can you find him?